Is there such a thing as making a character TOO flawed? I have characters who make some realistic but poor decisions, but I worry that will frustrate my readers, or make the character too unlikable. Any tips or tricks to deal with this? Agent Lindasy Leggett commented on how important including your MC’s weaknesses is in creating authentic characters in her earlier session. Can you talk a bit about flaws and weaknesses and how those would be on display in the manuscript. How much of what you write about a character actually appears in the book? How can you make an internal flaw or weakness apparent to the reader? As writers, we’re often too close to our characters to be good judges (i.e. we might think a character is quirky and charming when they come off as brash or annoying) — do you have any ideas on how to get perspective on your own characters? Do you think it’s best to keep hidden the cause of your character’s major flaw concealed or reveal it? If revealed, should it be early on to the reader but later in the story to the character as they change? How does backstory play into flaws? What are some flaws you’ve given your own characters? Which ones have been the most interesting or difficult to work with? My character’s flaws are a kind of selfish impulsiveness–doing things without thought for the consequences to other people, and she also doesn’t say how she’s feeling until it bleeds into what she’s doing and causes a big mess. How can I show her uncommunicativeness without her being too vague? I’ve gotten notes that my MC is too unlikable. But in order to have a full arc of character growth, isn’t this a good set-up for an interesting character and plot? Does a flawed main character need to show drastic transformation over the course of the story/series in order to grow or show agency? When your character is flawed but also a minority, how can you make sure you are not falling into bad representation while also being true to the character’s faults? Do you find readers to be more open to an over-the-top side character vs. having a difficult main character? Is it worth rethinking my cast if the current main character isn’t sitting well with early readers? Who are some of your favorite anti-heroes in kidlit fiction? What’s the difference between an anti-hero and a flawed protagonist? Do you have any tips for writing flawed relationships between characters? For example, I want my two main love interest’s relationship to be complex and somewhat flawed, but I’m worried it will annoy readers, or make their relationship feel unbelievable. 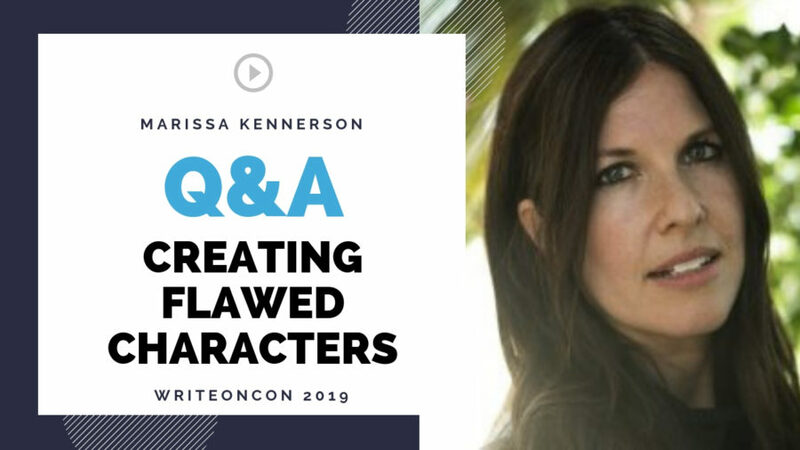 How do you avoid stereotypes when writing flaws into a character? If your character’s flaw is being passive and timid, how do you give them enough agency to make the character and the story interesting? In Middle Grade, how would you recommend portraying flaws without reinforcing bad behavior? How do you handle flaws in secondary or even minor characters without that being their entire personality? When you have multiple POVs, is it okay if the reader finds out about a character’s flaws/backstory through *another* character’s POV scene later on, or will the reader feel cheated and like it was withheld from them because the reveal wasn’t in *that* character’s POV (and thus it feels like an unreliable narrator)? Do the flaws you create come from the setting, psychology, or circumstance? What are some less used flaws in YA? How would you approach writing two characters who have similar flaws? How can you weave many little flaws together in one character? How do you create new flaws when a character overcomes them? Especially for a long-running series? How would you approach writing flaws in a character that make them personally offensive to you as the writer? Do you ever take flaws from people IRL? And should writers worry about getting caught doing that? Do you have any tips about flaws influencing decisions? If your antagonist and your MC have some of the same flaws to show a parallel in how 2 characters can feel the same way but respond differently, will that feel boring to a reader? Flaw to strength arcs can be incredibly rewarding for readers. What are some effective ways writers can set those up? Personally, I love this kind of arc, Alyssa. What should you do if something you wrote in and intended as a moral is being read a a flaw? When you have a deeply flawed romantic interest, what are some ways to avoid cliches or abusive tropes so that the relationship isn’t toxic? While creating an incredibly flawed antagonist, how do you make sure that the flaws don’t unwittingly reflect poorly on *all* of the character’s traits, i.e. unintentionally comment on part of a character’s identity and instead it just feels like a real person? How do you create an understandable flaw with a character that’s non-human, a monster, a god, or an alien? When portraying flawed parents, how can you show them being realistic without being overtly mean/seemingly evil? Do villains need to be 100% flawed to be convincingly evil? How can a writer ensure they’re not putting their own biases/flaws on the page as they’re crafting their characters? How would you recommend introducing a character flaw later in a story without making your readers feel betrayed by their action?